The Matinee ’18 April 3rd is filled with fabulous storytellers and superb musicians. The nine songs will either crush your souls, make you laugh, entice you to take a long drive, or daydream about better days to come. Since debuting three years ago with the enrapturing “Limits” and “Only Me”, London trio Arctic Lake have been on a straight line trajectory to the stars. 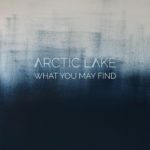 Their original singles were more Daughter-esque with their brooding beautiful approach, but with “What You May Find” they take a page out of London Grammar’s and Portishead’s songbook. Specifically, they turn to simplicity to make a song that is breathtakingly cinematic and enchanting. Every element is subtly delivered – the synths, keys, dissonant guitar, and production synth work – to create an experience that borders on ethereal. Even Emma Foster’s stirring vocals are soft and immersive, seducing us into Arctic Lakes’ depths. Her lyrics, though, are personal and intimate, as she reveals her fears of opening up her soul to another person. Her fears that another may not love what is inside her and for who she is. 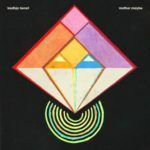 The band’s minimalist approach and honest songwriting are reasons why we, like thousands of others, became fans of Emma Foster, Paul Holliman, and Andy Richmond, and why we think they are on the verge of something truly special. 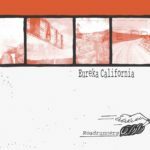 “One of these days things should get too weird / Down the rabbit to disappear”, Jake Ward sings on the wacky but incredibly clever “Mexican Coke”, the new single from garage-rock duo Eureka California. Filled with references that English literature majors will go bonkers for, this tune is outrageous in a Stephen Malkmus & The Jicks kind of way. The guitar work is gnarly, and the calm drumming provides the perfect foil to the far-out nature of the song. 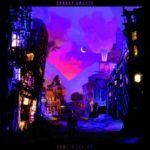 However, Ward’s lyrics and allegorical approach are the star, as he pits 19th and 20th Century literary figures, characters, and references against modern-day problems. Exactly what would Edgar Allan Poe exactly do if he was subjected to watching re-runs and BBC all day? Or how would the fictional hero Leopold Bloom confront the malaise millennials experience due to their smartphone addictions? First World problems at their finest, which Eureka California tackle with fantastic wit. Jake Ward and Marie A. Uhler are Eureka California. Their new album, ROADRUNNERS, is out May 4th via Happy Happy Birthday to Me Records (or just HHBTM). Pre-orders are available here. Like a long drive through the deserted streets of Stockholm or any European city, you will get lost inside Francis‘ new single, “All I Want”. The darlings of Sweden’s indie-pop scene and the heirs to Amason’s crown deliver another theatrical and immersive single. It is dark yet exhilarating, mysterious yet catchy, gripping yet breathtaking with its infusion of late ’80s dark-pop and synth-pop plus dashes of scintillating shoegaze and contemporary indie-pop. Further heightening the song’s drama are Petra Mases’ intoxicating vocals and her introspective lyrics. Like many late-night drives, she takes us inside her mind and shares her desires to find a way to go on. In their quiet matter, Francis have delivered another anthem for all those who just want to find comfort, hope, and love. Francis are Petra Mases (lead vocals), Petter Nygårdh (drums), Jerker Krumlinde (guitar), Paulina Mellkvist (bass), and Oskar Bond (keys). The single is out now on Strangers Candy. In just three days, Hinds‘ sophomore LP, I Don’t Run will be released on Mom + Pop Music (pre-orders here). 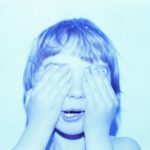 Needless to say, it is one of the most anticipated albums of the spring because the Spanish quartet’s approach to indie pop-rock is unique. Really, that’s the only to describe their oft-kilter harmonies, off-beat melodies, and killer songwriting. They’re essentially Warpaint, Mac DeMarco, and Courtney Barnett rolled into one awesome band, and “Finally Floating” perfectly illustrates their genius. Fun, lovable, infectious, and quirky, “Finally Floating” is everything that we love about the Madrid-based foursome. Where many bands try to make different styles work with little success, Hinds perfect the contrast-is-brilliance approach. From the varying vocals ranges of Carlotta Cosials and Ana Perrote to the merging of The Growlers’ like slacker rock with buzzy indie pop-rock, the song is like witnessing Jackson Pollock at work. Combinations that shouldn’t work end up in a product that is quirky, different, yet truly unforgettable. The only element in the song that could be considered “mainstream” is the lyrics, but even then the band turn the typical infatuation song on its head by explaining how the image of another person continues to haunt them. It’s more a nightmare than a dream. Hinds are Carlotta Cosials (vocals/guitar), Ana Perrote (vocals/guitar), Ade Martin (bass/backing vocals), and Amber Grimbergen (drums). Is there a cooler cat than Kadhja Bonet? If there is, we have not found her/him. There are multiple reasons for why we hold this opinion. First, the LA-based artist is one of the most gifted musicians in the business. A graduate of the 2014 Red Bull Academy of Music in Tokyo, Bonet performs violin, guitar, and flute in addition to doing her own songwriting. Second, she has a smokey, sultry voice that has hints of Sade, Aaliyah, and Natalie Prass. Finally, her style is ’60s and ’70s funk, soul, and R&B, which any music fan will agree is one of the great eras in history. So while many artists try to create “future soul” or redefine “trip hop” through integrating electronica, Bonet is reviving the decades that gave us Marvin Gaye, Aretha Franklin, Al Green, Patti Labelle, and Diana Ross, which she brilliantly does with “Mother Maybe”. This song is cool – utterly cool – making the song worthy of spinning while strutting along Venice Beach or in the convertible as one is cruising down Rodeo Drive in Beverly Hills. The funky bass line, the groovy melody, and Bonet’s transcendent vocals are exquisite, and for just over four minutes you’ll be transported to the era of bell bottoms and big hairdos. Or for us older folks, you might think of the times spent with your mother on the beach or the playground, remembering moments that, as a child, was pure bliss. Bonet’s new album, Childqueen, is out June 8th via Fat Possum Records. Pre-orders are available here. This could be the ultimate summertime LP. In an era where repetition reigns, it’s refreshing to hear a young band break the trend and craft stories that are reminiscent of the great era of the ’70s. 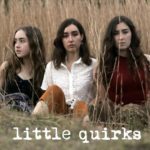 Little Quirks are one of these fine young groups. All the members – sisters Abbey (vocals/guitar) and Mia (drums) and cousin Jaymi (vocal and mandolin) – are all in their teens and not all are eligible to vote let alone drive. Yet the handful of songs Little Quirks have released to date, including “Run Away”, possess the intelligence and grace of the most seasoned songwriter. Their latest number, “Crumbled”, is another encapsulation of the trio’s talent and immense potential that could one day lead them to reach the same heights as First Aid Kit. Whereas many indie-folk and Americana bands will focus on upbeat, joyous far, Little Quirks deliver a dark and enchanting number. It’s a song that more appropriately captures the feeling of walking alone in the Black Forest than the accustomed barn-storming numbers. Abbey’s vocals are stunning, whispering calmly to tell the tale of one woman reclaiming her life from the person and terrors that haunt her. Jaymi’s mandolin and Mia’s drumming, meanwhile, are the musical stars – familiar in their approach but spectacular in their delivery. These three young women have stardom in their future, and it won’t be long before festivals like Pickathon and Newport Folk will be inviting them to perform. 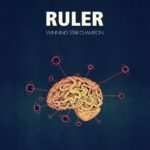 Over the past year, we’ve gotten to know Matt Batey and his music project Ruler. Granted, Batey has been performing for a few years, but it is only in the past six months that his music is being heard globally. A big part is that his style of indie pop-rock is anthemic, addictive, and smile-inducing. Another reason is that awesome label Barsuk Records recently signed him, and they will release Batey’s debut album, Winning Star Champion, on May 25th. We’ve already heard two of the tunes – “Easy Life” and “Petrified” – and he returns with song number three. With his trademark, swashbuckling style, Batey delivers a boisterous number with “Cars And Houses”. The catchy guitar hooks and bopping rhythms will have you dancing and just enjoying the moment. His lyrics, though, are always the standout feature of his songs. This time around he shares a charming story about one person’s dream to make a life for himself that includes stability, love, and family. It’s the American Dream that many wish to have. If you’re a fan of the NBC drama This Is Us, this tune would be perfect for a future episode about Jack and Rebecca Pearson’s early relationship. Alejandro Rose-Garcia has come a long way since his days as a one-man band. Through his project Shakey Graves, he gradually established a legion of fans across North America, bringing his stable of guitars, a bass drum, stomp box, and harmonica to festivals and gigs across the continent. Whether it was an early afternoon set at Bonnaroo, in the dungiest basement bars, or playing three shows a day at SXSW, he performed and still performs with a huge smile on his face, enjoying every minute. To this day, he still plays a couple of gigs at SXSW. Rose-Garcia is, after all, the Texas Gentleman. Now in his 30s, Rose-Garcia has slowly expanded Shakey Graves’ sound. Three years ago, he had a drummer. Two years ago, he collaborated with the great Esmé Patterson. In preparation for his newest album, Can’t Wake Up, which arrives May 4th via Dualtone Records, he’s gone even further. With a full band and then some (a mini-orchestra really), Rose-Garcia has crafted his most expansive output to date in “Mansion Door”. As he describes it, the track is an ode to the ’90s indie-rock bands he grew up listening to, including Built To Spill, Heatmeister, The Breeders, and Pinback. There is, however, more in the song, as the classic rock of The Who and psychedelic undertones of The Beatles percolate beneath the surface, particularly in the middle portion. Rose-Garcia’s songwriting also has hints of George Harrison, using technicolor imagery to describe current events and the hope that better days are to come. So while the “Mansion Door” leads us into an eerie and chaotic place, the “lonely star” that shines outside is the one constant and the signal that things “will get a whole lot better”. 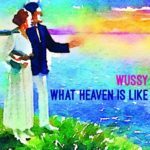 Wussy are one of the most underappreciated, great indie-rock bands on the planet. They’ve been plying their trade for over fifteen years and being the voice of Cincinnati in that time. They’re what Deer Tick is to Providence, Rhode Island and, on a larger scale, what The Tragically Hip were to all of Canada. Their similarities to the Canadian rock legends explain why we are fans, and a song like “Aliens In Our Midst” certainly helps. The song actually sounds like it could have been taken from a Hip album, particularly Phantom Power. From Chuck Cleaver’s voice (it’s very similar to Gord Downie) to the creative storytelling (about living with aliens) to the power-rock approach, “Aliens In Our Midst” is more Canadiana than Americana. It’s fun, it’s witty, and it’s a classic – in a Canadian sense of course. If Cleaver, Lisa Walker, Mark Messerly, Joe Klug, and John Erhardt moved to Toronto, they likely would be instant, national icons. In the meantime, they’ll be legends to the folks of Cincinnati and the most ardent indie-rock fan. Their new album, What Heaven Is Like, arrives May 18th via Damnably Records in Europe and Shake It! in the US. Love the reverse guitars in the intro of Shakey’s “Mansion Doors.” Cannot WAIT for the album to get released. I got to sing with Alejandro in Belfast a few years ago and… it was one of the best experiences. Thanks for sharing, Ben!